Next up is Ez Pz. I have always had a huge heart and have always dreamt of ways I could give back and make a difference! Ezpz products just so happen to help children with Down syndrome, autism, cerebral palsy and traumatic brain injury, just to name a few. So CFOB was such a natural and perfect tie-in I was hooked as soon as I heard about it! I am a proud supporter of the special needs community and can’t wait to see what the future holds! 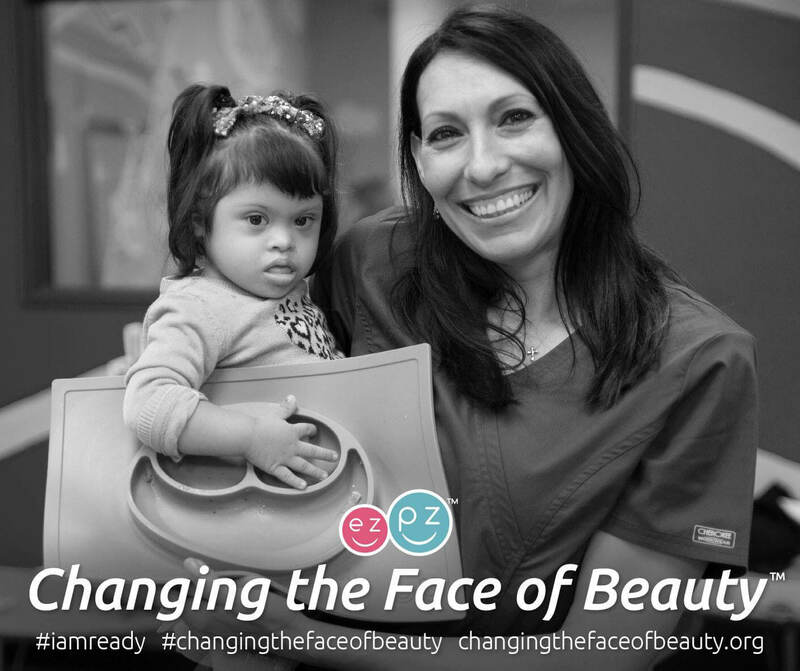 Changing the Face of Beauty embodies so many of the values we have at ezpz: doing what’s right, driving change, supporting the special needs community, giving back and (always!) focusing on hope and positivity. We hope that through our advertising we can make a difference, build awareness and truly Change the Face of Beauty! Honestly, it hasn’t been all that different from shooting with kids that don’t have disabilities. Kids are tricky models since they’re so active and have (ahem!) short attention spans. One thing we noticed is how appreciative the parents and siblings are for us (and other retailers) participating in CFOB and what it stands for. CFOB isn’t a trend – it is a movement! The goal of CFOB is to change people’s definition of what is “beautiful” and what is “normal”. This movement and these kids beautiful faces will change lives! The goods news is, we are making a difference! Our World Down Syndrome Day post with Calvin went viral and was BY FAR our most engaged post! We reached over 259,000 people and over 2,400 people shared his beautiful face.